Root canal treatment includes the expulsion of the pulp tissues from the tooth if it gets inflamed or infected. The pulp can be inflamed or infected because of either deep decay or a broad restoration that includes the pulp, split or cracked tooth because of injury, intemperate wear of polish and dentist uncovering the pulp, and in some cases as an aftereffect of serious gum ailment. Root canal treatment saves teeth that would otherwise have been extracted. 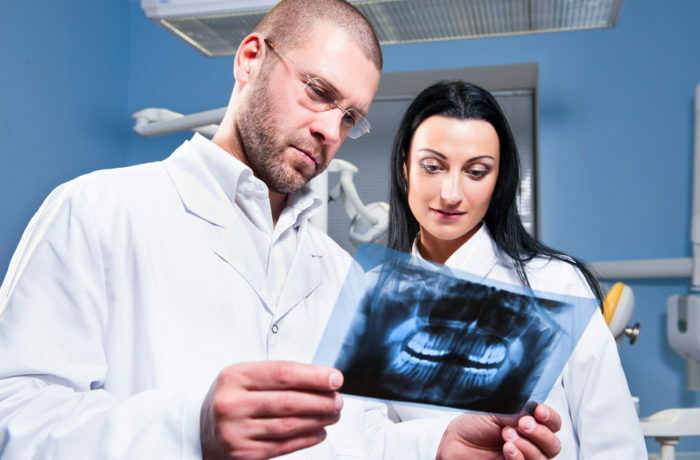 At Cerritos Family Dentistry clinic, Root canal treatment methodology is painless and relatively comfortable as the tooth is anesthetized during the treatment. After treatment, the tooth may be sensitive or delicate for a couple of days because of inflammation of the encompassing tissues. This discomfort can be relieved by taking mild analgesics or painkillers as prescribed by our specialist. All root canal treatment procedures are performed by detaching the tooth with an elastic dam to give a clean and salivation free environment. Root canal treatment may be done in single or different visits relying upon the severity of the tooth. In between our treatment procedures, medications may be placed with in the canals and the tooth is secured with a provisional filling.